Rosemary Beach, FL: 2011 was an exciting year for real estate in South Walton. 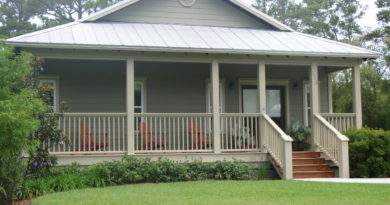 I continue to look for trends in the smaller markets of South Walton and will have more reports soon. Rosemary Beach is one of those micro-markets, a beach community located on the eastern end of Scenic Hwy 30A. 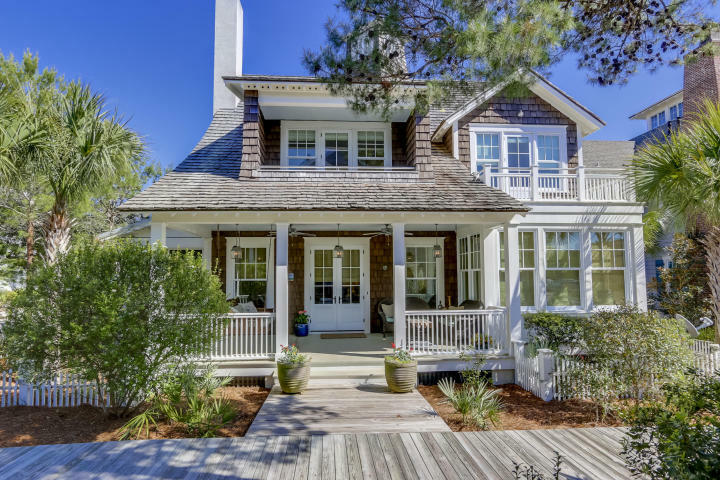 Over the last twelve years, home sales in Rosemary Beach have bounced around quite a bit. In 2011, Realtors reported 35 home sales, somewhat in line with 2010 sales which were the second highest on record, with 38 home sales reported. People often ask me how the average sale price varies from the average list price of homes which sold. On average, Rosemary Beach home sales in 2011 sold for 88.92% of the list price. Keep in mind that we are talking average. Some sale prices may be well below list price, while others may be full list price or higher. We’ve seen it happen. So, if you are a buyer, remember that every sale is unique. Some listings are priced to sell, and others may be negotiable. Let’s look at median sold price of Rosemary Beach homes. In the chart above, we compare the median sold price from the last twelve years, as reported to ECAR (Emerald Coast Association of Realtors). Median sold price is the price where half of the sales are above that price and half are below that price. 2007 shows the highest median home sale price in Rosemary Beach of $2,275,000. In 2009 and 2010, that number had dropped to hover around $1,000,000. In 2011, we saw several home sales in Rosemary Beach which were above $2 million, so it’s no surprise to see the median sold price jump 36.7% over 2010, with a median sold price of $1,387,500. According to ECAR, The Premier Property Group played a roll in selling 29 (representing either the buyer or the seller) of the Rosemary Beach home sales in 2011, and our average home sale was the highest reported, $2,697,498 per home. The best pleasant surprise is the total dollar volume of homes sold in Rosemary Beach during 2011, with over $73 million reported, the second best year on record. Compared to 2010, the sold dollar volume of Rosemary Beach homes jumped 67% in 2011. Rosemary Beach fared well in 2011. 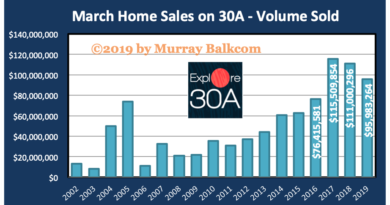 To learn how it ranks among the other beach neighborhoods of South Walton, stay tuned for future updates on the South Walton & 30A real estate market, as I will be reporting on more yearly comparisons for developments such as WaterSound, & Seaside. Please share my real estate market updates with friends you think might have interest in beach properties. If you haven’t subscribed to my reports, you are missing out on exclusive content, so subscribe today, it’s FREE! 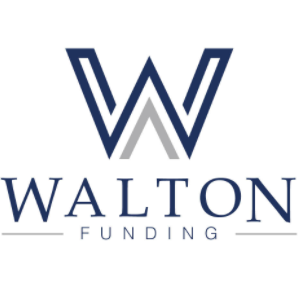 If you are considering selling or buying real estate, in Rosemary Beach or other areas of South Walton, please give Murray a call, even for consultations or evaluation of your property. Murray Balkcom is a licensed Realtor with The Premier Property Group, serving South Walton, including the beach neighborhoods of Alys Beach, Rosemary Beach, Seacrest, WaterSound, Seagrove, Seaside, WaterColor, Grayton Beach, Blue Mountain Beach, Santa Rosa Beach, Dune Allen, and Point Washington.